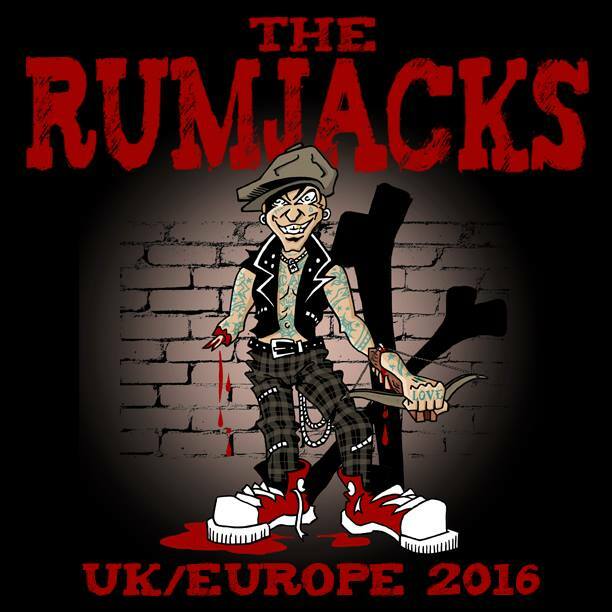 2016-05-04 VIDEO – THE RUMJACKS "A Fistful O’Roses"
“A Fistful O’ Roses” is the first single off The Rumjacks 3rd full length album out 2016. “We’ve written many a song about our hometown of Sydney, and ‘A Fistful O’ Roses’ is yet another, though this one was created beneath a very dark cloud & a sorely difficult time for our beloved city. An agenda of sweeping law reforms and increasingly heavy tactics by our state government have crushed the city’s nightlife, the livelihood, and in many cases even the lives of many of its inhabitants. Iconic pubs, bars & restaurants are forced to close their doors, elderly residents are driven from their homes and Sydney is growing more desperate & hostile with every passing day. This is a city under siege by those who rule her, set to become a playground for the elite, while the people who made it the treasure it was are squeezed out to wherever they hell they may venture. We performed the video for the song as a macabre ‘dry wake’, set among the decay, in a derelict pub, one of many to fall victim to the states new order. Historic footage flits across the screen like memories of a life flashing before one’s eyes. ‘A Fistful O’ Roses’ is one last great send-off for the old girl, but make no mistake..